Excuse the cheesy Grease reference, but I just couldn't help myself. I used to be a big, dangly, chandelier earring gal. But now that I've stopped fighting my natural hair texture and let it go wavy, long earrings can be a tangly mess. 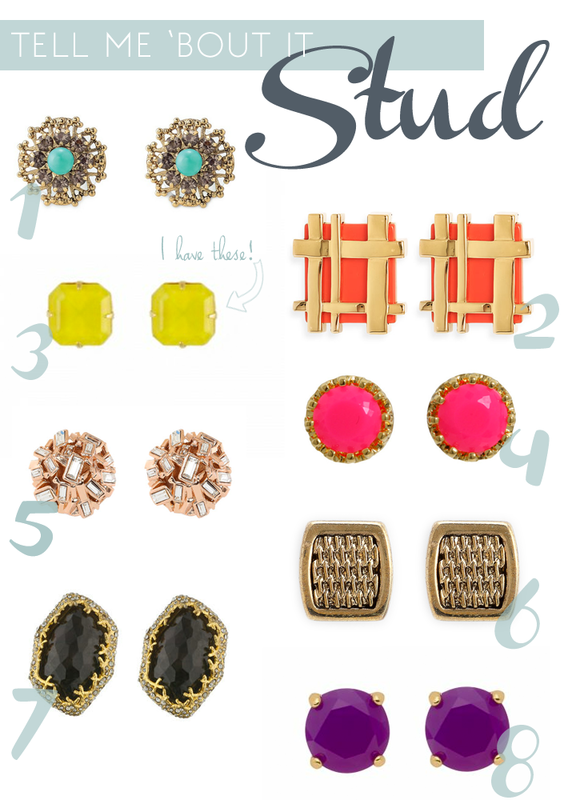 I've found myself buying more stud earrings than usual, and I've got my eye on all of these beauties. I love adding this Loren Hope pair to every outfit for a pop of color.